Boyds, Md. (4/1/19) – Washington Spirit Academy – MD forward Jordan Canniff has been called up to join the U.S. U-23 Women’s National Team for the upcoming 2019 Women’s U-23 La Manga Tournament, set to start on April 5. 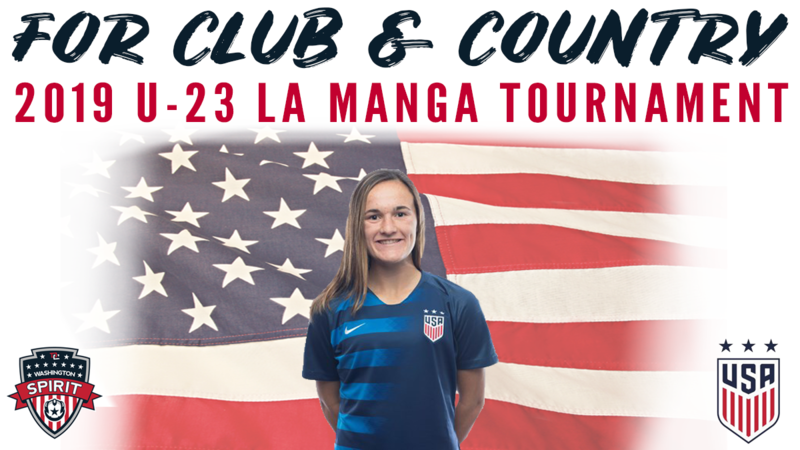 The U.S. will take part in three matches in La Manga, Spain against the U-23 squads representing Sweden on April 5, France on April 7, and Italy on April 9. England and Norway will also compete in the six-country tournament, where every team will play three matches. The U-23 roster that has been selected by coach Mark Carr will consist of a mix of U-23 and U-20 age players consisting of 14 collegiate players, four players currently playing professionally in Europe, and two youth club players, with Canniff being one of the two youth stars. The Spirit Academy standout has committed to playing at Penn State University and will be joining the 2015 National Champions this upcoming fall. “It’s a great honor to be called into the U-23 camp. I’m excited to be able to play with older players that will help push me and improve my game,” said Canniff. Canniff has already made her international presence known for the U.S. The 17-year old California, Md. native has already represented her country on the U-17 and U-20 levels. Notable appearances from the Spirit Academy star include the 2018 FIFA U-17 Women’s World Cup and U-20 La Manga Tournament which took place this past February. In 25 career games with the U-17 squad, she has found the back of the net nine times before being promoted as a current member of the USA’s U-20 player pool.